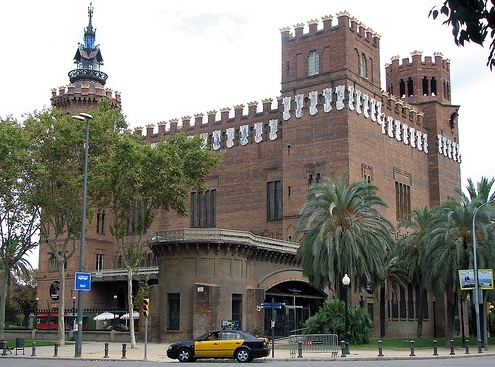 In the Parc de la Ciutadella the great brick Castell dels Tres Dragons, was designed by Domènech i Montaner as the Universal Exhibition’s café-restaurant, although it wasn’t finished in time to sell a single pa amb tomàquet. Even so, this building, more than any other, introduced Modernisme to the many visitors from around Catalonia who attended the fair. Its innovative use of exposed plain brick and iron were revolutionary at the time, as were the whimsical ceramic decorations that crown it – large blue and white shields decorated with stylized motifs. It was immediately nicknamed the ‘Castle of the Three Dragons’ after a work by Barcelona's beloved playwright and poet, Serafí Pitarra (Frederic Soler). The building later became Domènech's workshop for Modernista design, then in 1937 became home to the Zoological Museum. Many of the exhibits have found a new home in the Museu Blau in the Forum, in Poble Nou, but there are plans to make it a 'Laboratory of Nature', housing geological and palaeontology collections; check the current status on the website. A section of the Natural Science Museum will also occupy the nearby neo-Pompeiian Museu Martorell, designed by Antoni Rovira i Trias, which opened in 1882 as the city's very first public first museum (which is also temporarily closed). 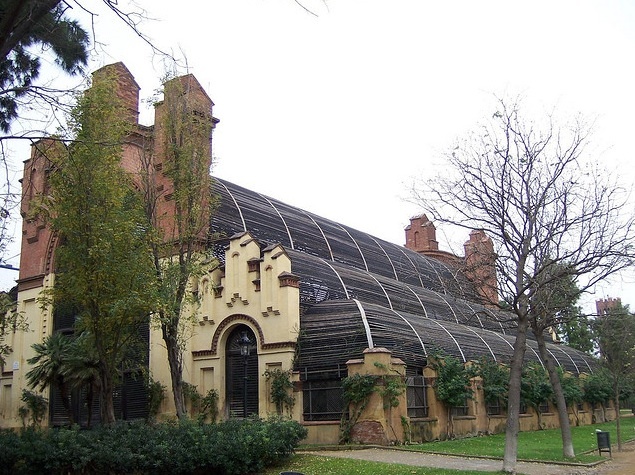 Adjacent to Museu Martorell, on Passeig Tilers, stands Fontseré's pretty Umbráculo, a cast-iron greenhouse with a wooden lattice roof, designed for shade plants. On the other side of the museum is Josep Amargós’ iron and glass Hivernacle, or winter greenhouse.